In 2017, we were thrilled to be chosen as one of Chiltern Railway’s Charity of the Year partners. Across the year employees raised an amazing total of over £10,800. During the partnership, staff from all departments came together to take part in a variety of fundraising activities including a cycling challenge, bake sales and on-station collections. 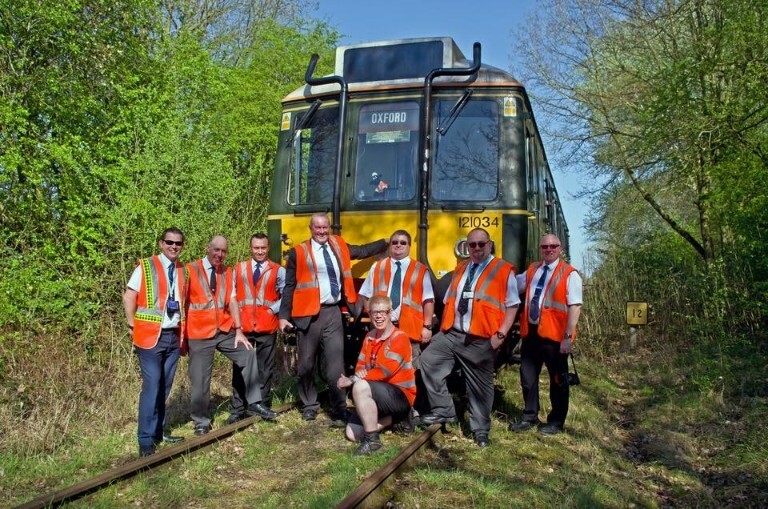 One of the most memorable activities that the company ran was a charity train with Chiltern’s iconic class 121 ‘Bubble Car’. In Bowel Cancer Awareness Month 2017, 60 members of the Branch Line Society were treated to the opportunity to ride the classic Class 121 Bubble Car from Aylesbury to Marylebone and back. Chiltern staff who generously gave their time to make the event a success also donated their wages for the day towards the cause. Through ticket sales, staff contributions and bucket collections the event raised almost £3,000. As well as staff fundraising, vital funds were also raised through a range of activities such as lost property auctions and the sale of old station items. A donation was also made each time an internal staff or safety survey was completed and returned. This was hugely successful, raising over £1,880 and helped increase staff responses and engagement with internal company surveys. As bowel cancer is the UK’s second biggest cancer killer, it is so important to look at ways to improve awareness of the signs and symptoms, risks and the importance of screening. 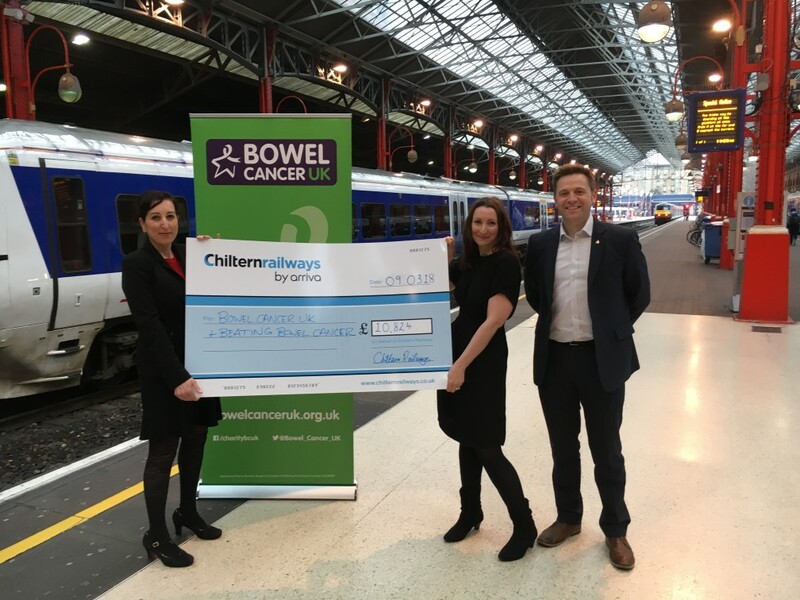 For us, this partnership was an invaluable opportunity to not only raise funds but also increase awareness of bowel cancer to a truly diverse audience including staff, commuters, families and tourists. To help promote key messages around bowel cancer, slides introducing the work of the charity were displayed at staff induction presentations, and leaflets were added to induction packs as well as being available at executive away days. During Bowel Cancer Awareness Month, slides about symptoms and bowel cancer screening were shown on screens in staff mess rooms. 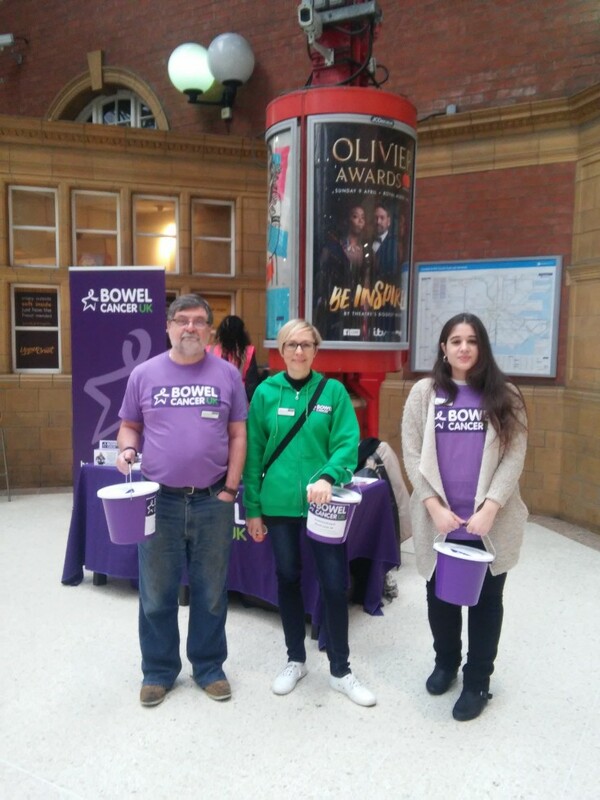 We also held bucket collections on the station concourse at Marylebone and Birmingham Moor Street and engaged Chiltern customers with a health promotion and awareness stand. We would like to say a big thank you to Chiltern Railway and their staff for all their amazing efforts over the past year.